The Beach – two beaches of silver soft sand which gently shelves away in crystal clear waters, a paradise for snorkellers with an abundance of marine life just feet from the shore, including sea horses and turtles. Kai Belte Spa – the spa offers a full range of massages and treatments. There is also a Spa pavilion located on the hill overlooking the sea. The Boutique – has a range of resort wear, local artworks, gift ideas plus of course the usual essentials normally forgotten in the haste of packing. Diving – Scuba St Lucia offers a full range of dive courses and options. Apart from the house reef all dives are single tank boat dives with the furthest site just 20 minutes away. Watersports – a full range of complimentary watersports including snorkelling, paddle boarding, windsurfing, sunfish sailing and ocean kayaking. Mountain Biking – 15 miles of trails from the easy to the professional. Top of the range bikes are available for hire. 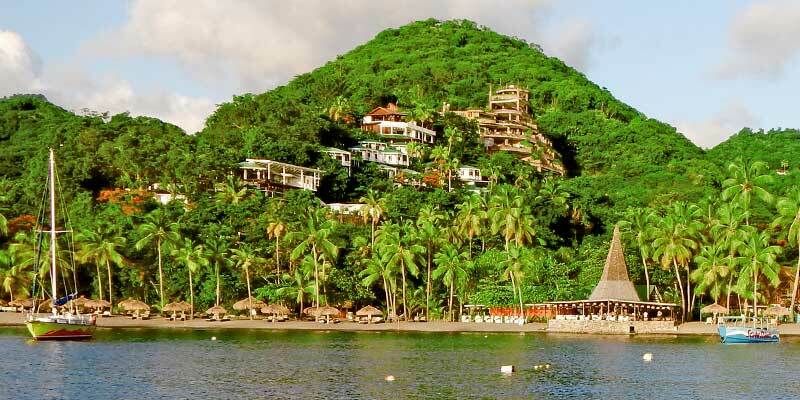 Plantation & Walking Tours – the tours apart from getting you off the beach and under the forest canopy introduce you to the history of area and to St Lucia. Tours also introduce you to the plants and fruits growing on the plantation. Estate Bird Watching Tours – introduce you to the endemics and in season the migrants as well. You’ll also see all forms of local wildlife. Bring your own binoculars or borrow ours. Farm Tour – the organic farm is located on the other side of Soufriere and you can visit, learn about the different herbs, spices, fruits and vegetables grown including some of our cocoa plants. Tennis – floodlit tennis is available for both day and night use. Yoga – complimentary Yoga is available twice a day, every day at beach level. 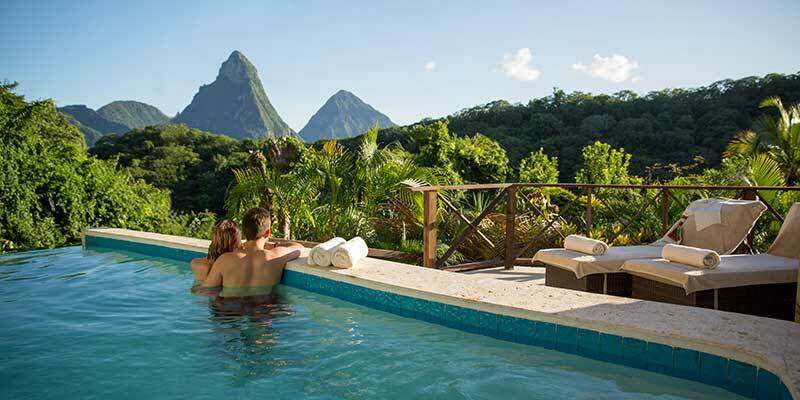 There is so much to do within Anse Chastanet not covered by the lists above such as chocolate sensory classes, chocolate making lessons, rum tasting, jazzy cruise and our jazzy sunset cruise. 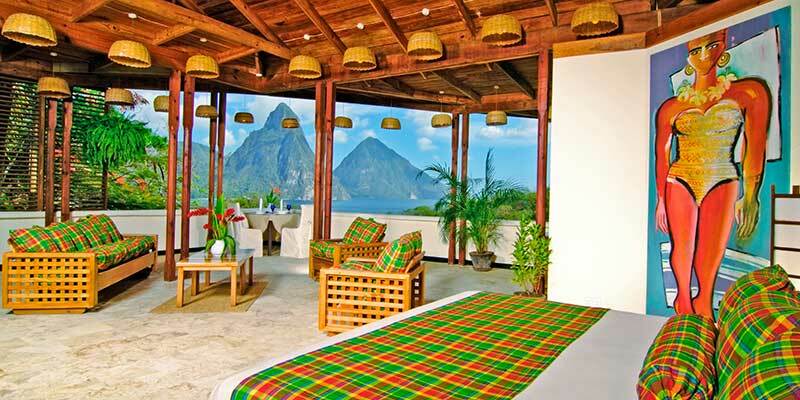 In addition, the hotel operates a full programme of tours to the drive in volcano, botanical gardens, rain forest, to the capital, Piton Climbing just to mention a few. So for those that want to just lie on the beach and do nothing beyond breathe, then paradise found. If on the other hand your nan was right and you have ‘ants in your pants’ we can keep you busy all day and all night long and you won’t even have to do the same thing twice, unless you want to. 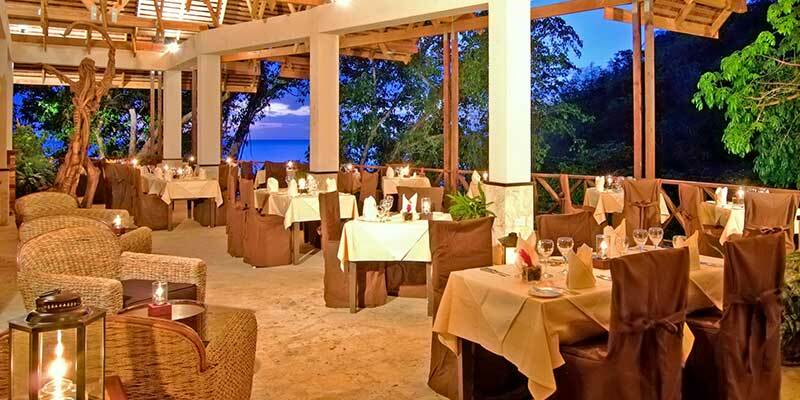 In case the images haven’t given any clues, Anse Chastanet is located on the side of a hill with most of the accommodation on the hill above the beach which is reached by approximately 100 stairs, thus making the property unsuitable for those with walking difficulties or cardiac problems. This is never a question of age. A complimentary shuttle service from beachside to hillside level is provided any time it is requested.